HTC teases something huge is coming. HTC One M9? While we are already pepped up about HTC’s March 1 event, the company has now notched up our anticipation by hinting something that was well until now subject of mere rumour. It’s confirmed that HTC will unveil its next flagship on March 1 at a pre-MWC 2015 event. However, the company has now dropped in a hint that the company may be planning to unveil another handset at the same vent, most likely the bigger variant of the One M9. 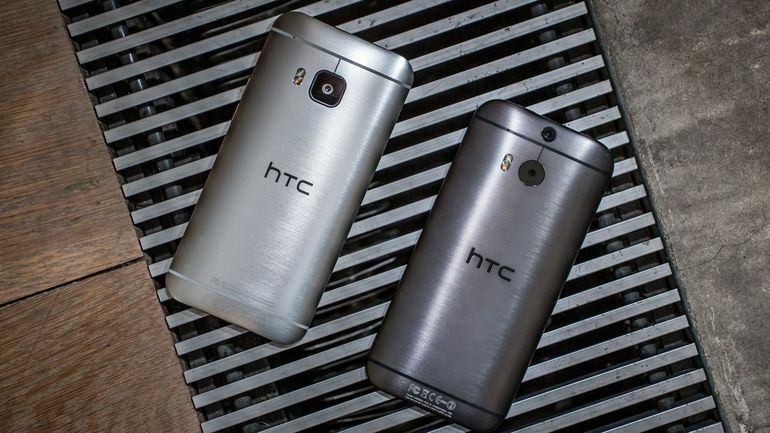 HTC USA recently took to Twitter to tease the alleged handset rumoured to be called the One (M9) Plus. The tagline of the Tweet states the obvious, that “Something Huge is coming from HTC”. Is it the One M9 Plus? We are not sure yet, but it chances are it could be. Rumours about the alleged One (M9) Plus have been doing the rounds for quite a while now. Popular and notorious (now retired) tipster, @evleaks recently leaked a render of the alleged HTC One (M9) standing next to its bigger version, quite possibly the M9 Plus. Moreover, a new report doing the rounds (via GSMArena) recently leaked the Compubench benchmark results of two HTC devices, tipping specifications of the HTC One (M9) along with the rumoured One (M9) Plus. The report that quotes Techtastic cites two HTC handsets: the HTC OPAJ13 (One M9) and HTC 0PK71 (One M9 Plus). According to the leak, the One M9 features a 5-inch full-HD display and is powered by Qualcomm’s 64-bit octa-core Snapdragon 810 processor coupled with 3GB of RAM. It comes with 32GB of internal storage and sports a 20MP rear camera along with a 13MP front camera. Meanwhile, the HTC One M9, as per the report features a 5.1-inch QHD (1440×2560 pixels) display and is powered by an octa-core MediaTek MT6795 chipset alongside 3GB of RAM. It comes with 32GB of internal storage and sports a 20MP rear camera along with a 13MP front camera, just like the One M9.